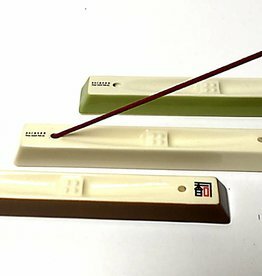 The Japanese incense holder consists of two parts. The incense is inserted into the round part and can be lit. This incense burner with pink spring blossom (Sakura) is packed in a luxurious gift box.